Services | FUCHS LUBRICANTS CO. Ensuring profitable manufacturing against international competition is a challenge for every producing company. Continuous improvement of all production processes is essential. Lubricants, whether industrial oils and greases or metal working fluids, directly and indirectly play a significant part in increasing efficiency in manufacturing. 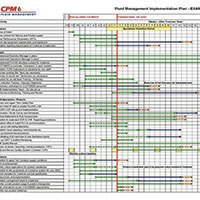 On the basis of its many years of process expertise, FUCHS offers modular services in the field of lubricant management (CPM) that span all the way up to managing the customer's complete lubricant management process. 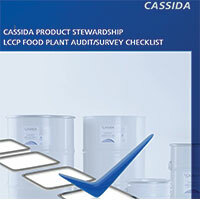 Our Food Industry specialists are trained to survey and perform risk assessment of lubrication critical control points. Our LCCP assessments include lubricant properties, type of maintenance and frequency, secure storage and dispensing in order to minimize potential risk. 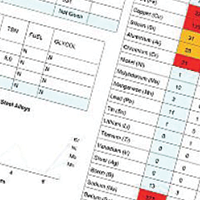 To compliment your internal maintenance program, we offer a periodic sampling and analysis in order to monitor the condition of a piece of equipment and its lubricant. CPM is a carefully managed, structured system of operations in which all aspects and consequences of fluid usage are monitored and assessed. Open gear applications are always among the most critical lubrication points. In addition to manufacturing a wide range of lubricant solutions customized to open gears, Fuchs experts offer routine inspection to ensure trouble-free operation and confirm maintenance program effectiveness. FUCHS Field Application Engineers work with customers to optimize lubricant application, design new manufacturing processes and evaluate new lubricant technologies. Their work helps manufacturers implement best practices. Field Application Engineers specialize in Food Grade, Heavy Industry, Metalworking and Metalforming sectors. Our metalworking fluid customers rely on our Metalworking Technical Services Laboratory for confirmation testing of their own metalworking fluid control activities and to aid in process improvement. Our Services Laboratory is staffed and configured for rapid processing of routine fluid tests with a turnaround time frequency in the range of 48 working hours between sample receipt and report generation.